[Question] Easy way to search for dim brown dwarves? Is there a way to find T or Y class brown dwarves? They don't show up in the star browser (Shift-F3) and the only one I've found so far is a T-class orbiting a F-class blue star in the Andromeda Galaxy. If it isn't possible to find them through organic means, could it be possible to implement searching them into the star browser? 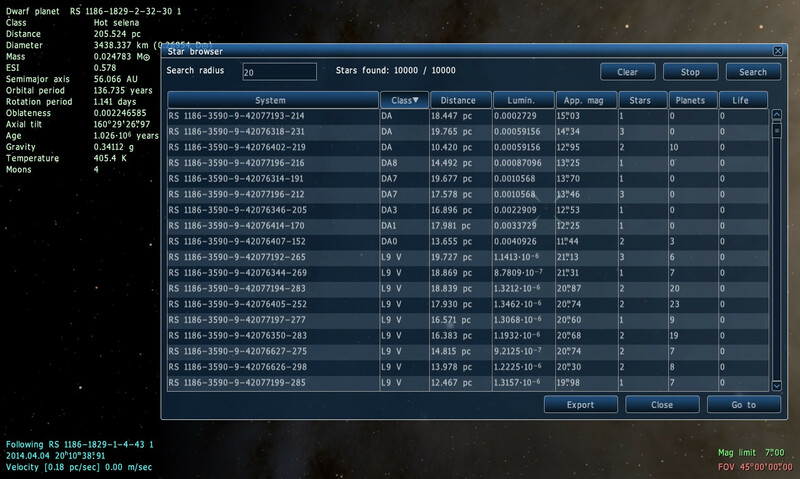 I did find T and Y classes of Brown Dwarf in Space Engine, in the Star Browser. In fact, every star class is shown in the browser (when found). They don't show up in the star browser for me, they stop at the L class. Is there a way to find T or Y class brown dwarves? I believe there are a couple of cool (750 degree) brown dwarves, but they are catalogue, not procedural. EDIT: WISE 1741+2553. It's still a class T dwarf, but it's the coldest one in the game.